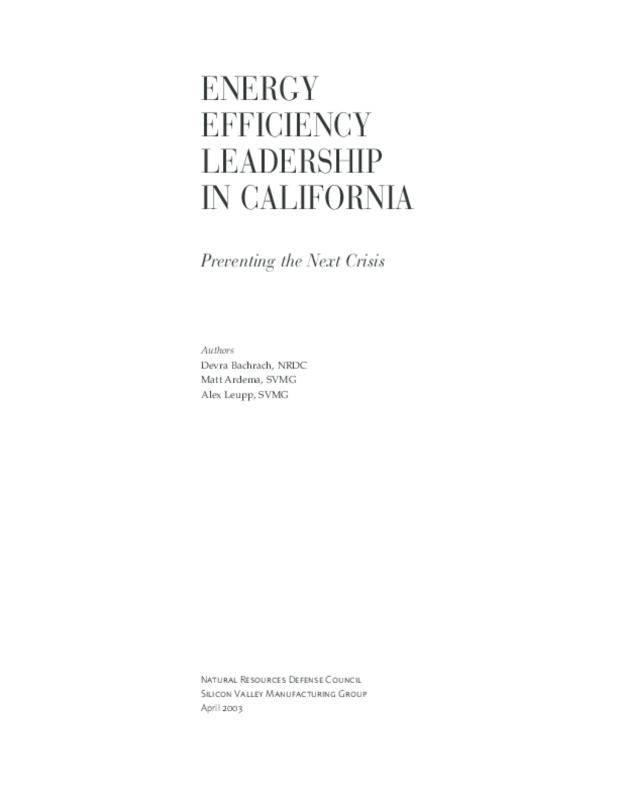 Details how California has modeled some of the best ways that states can protect their economies and environments by working to reduce demand for electricity. Includes case studies that provide concrete examples of energy efficiency improvements. Copyright 2003 Natural Resources Defense Council.